What was the early Church like? Contrary to popular belief, Rod Bennett shows there is a reliable way to know. Four ancient Christian writers--four witnesses to early Christianity --left us an extensive body of documentation on this vital subject, and this book brings their fascinating testimony to life for modern believers. With all the power and drama of a gripping novel, this book is a journey of discovery of ancient and beautiful truths through the lives of four great saints of the early Church--Clement of Rome, Ignatius of Antioch, Justin Martyr, and Irenaeus of Lyons. Rod Bennett was, for many years, the editor of Wonder Magazine, a cult-favorite media journal. His writings have appeared in other national publications as well, ranging from Rutherford and Gadfly to Catholic Exchange and Our Sunday Visitor. His first book, "Four Witnesses; The Early Church in Her Own Words", is a best seller from Ignatius Press. 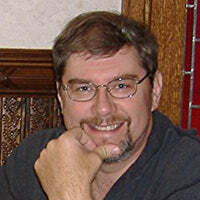 His first novel, "The Christus Experiment" was published in November 2012. Rod lives in the Smoky Mountains of East Tennessee with his wife Dorothy and their two children.